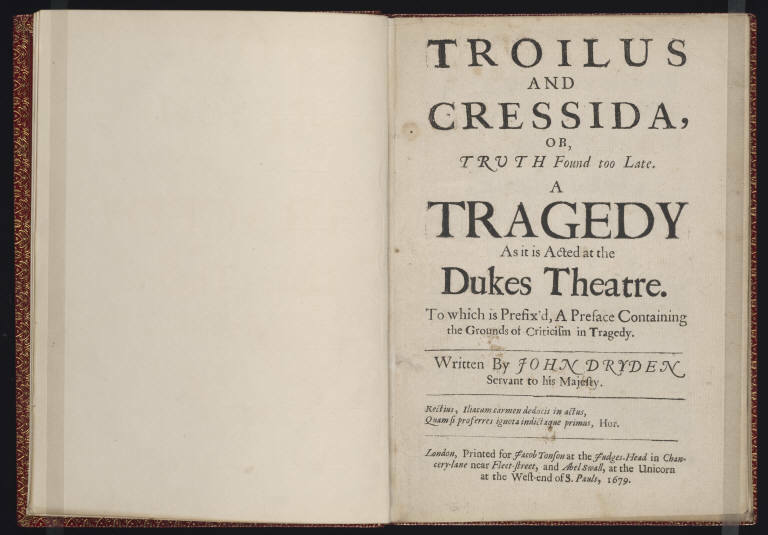 Among the more elusive and perplexing of Shakespeare’s comedies, Troilus and Cressida shares with King Lear and The Tempest its fair share of late-century revisions; for these, again, we can thank John Dryden, in whose subtitle to the play, “Truth Found Too Late,” we might read an effort to append a more visible moral narrative to the comedy than anything that had been there originally. 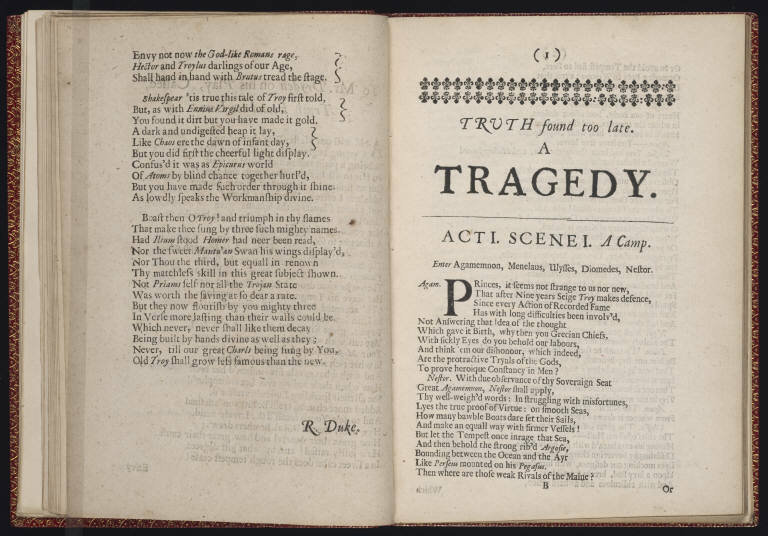 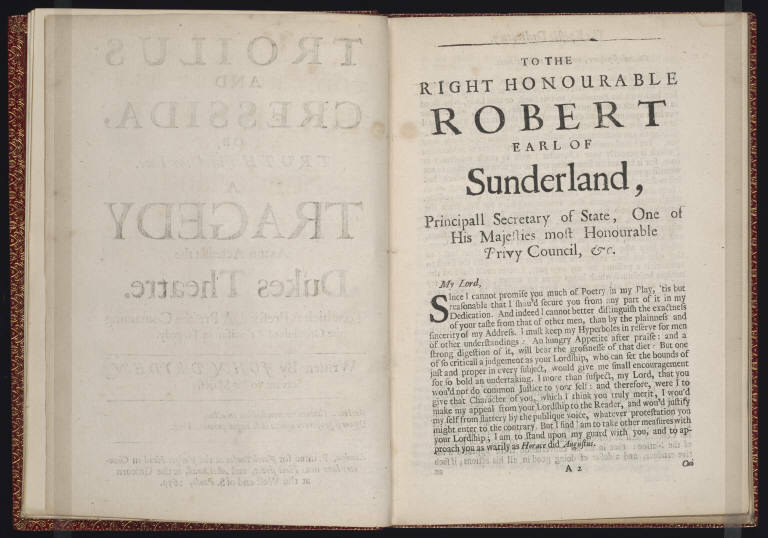 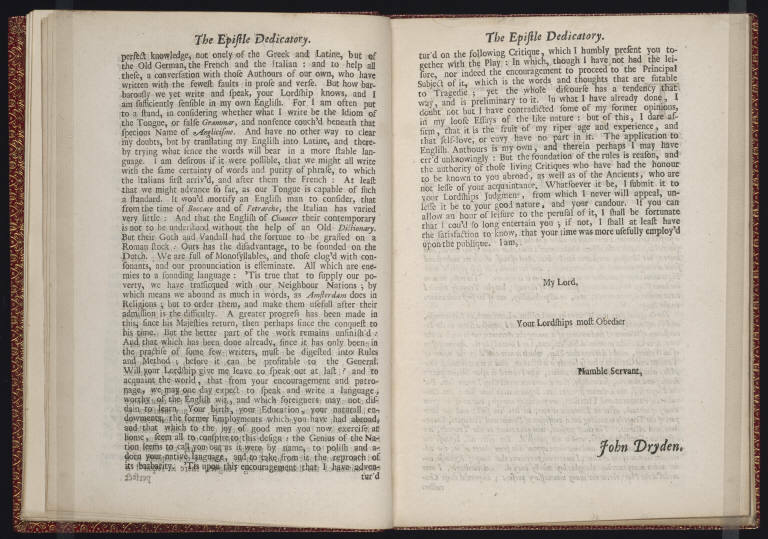 Dryden was working in the final decades of the seventeenth century, when a civil war, the beheading of a king, and the monarchy’s Restoration were all still uncomfortably vivid in the English imagination, and when an influx of neo-classical tastes attached itself to a reviving theater industry. 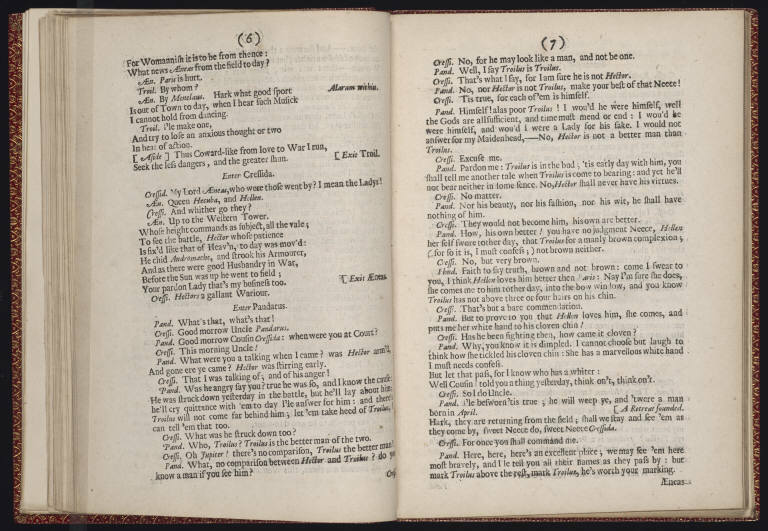 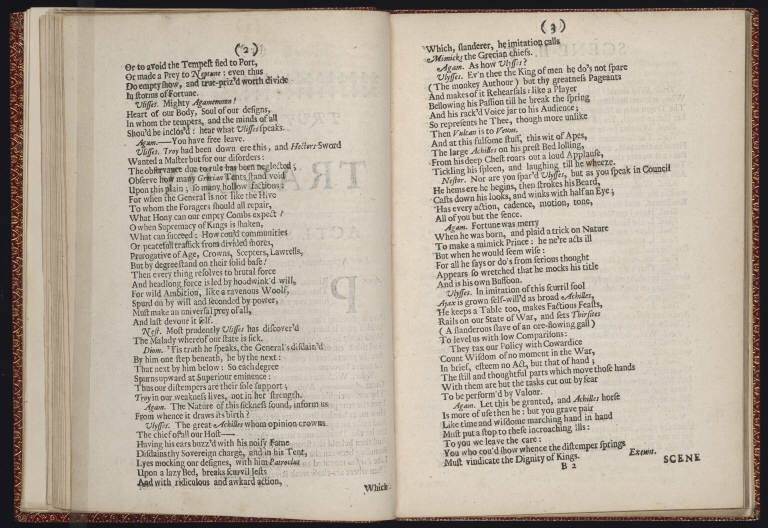 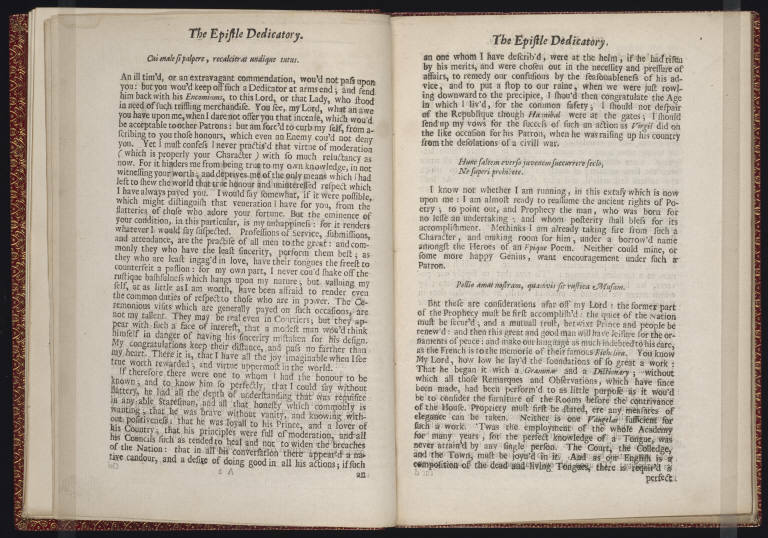 The sustained enthusiasm for Shakespeare’s plays at this time, Troilus and Cressida included, reveal the extent of Shakespeare’s compatibility with those shifting tastes; but Dryden’s many revisions of the play–of which the subtitle is just the first–disclose, as well, a more prominent disjunction between Shakespeare’s plays and the historical moment for which Dryden was appropriating them.